It’s time to step up and be recognized! IAMCP wants to hear your stories of innovative customer solutions and amazing partnerships. Submit now for this year’s IAMCP Awards. Who did you partner with and how did the partnership deliver value / help you win the deal? What was the biggest benefit that the customer received from your partnership? What did you learn that made you wiser and helped your organization become better – how have you matured in terms of your ability to partner as a result? What do we get if we win or make it as a finalist? with the stories from our 2017 winners! "Being an IAMCP member and sharing our “partner-to-partner” story of how we built an innovative application for a hospital in Canada not just raised our profile within the Microsoft ecosystem, but it has led to more business for us. We include our award logos in presentations, have promoted our win on social media and potential customers tell us that the peer recognition we received was part of the reason they decided to do business with us. Being recognized is not only an honor, it helps us “get above the noise” and stand out as a company who delivers excellence." At Inspire in Las Vegas, IAMCP will announce one Global Winner, five Regional Winners (one from each of EMEA, APAC, LATAM, US, Canada) and five Regional Finalists (EMEA, APAC, LATAM, US, Canada). Winning stories and companies will receive specialized marketing opportunities such as winner or finalist logos, press release templates, spotlight features and inclusion in an eBook. You are responsible for submitting only information that is completely true. The full text or an excerpt of your submission may be published on the IAMCP website, in an IAMCP newsletter or in an eBook after the final results are announced. You will be given the opportunity to redact any confidential or non-public information from your entries before publication. 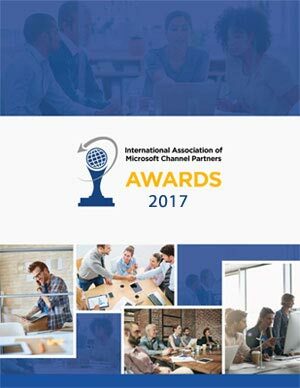 Your award submission becomes the property of IAMCP for marketing purposes. In the event of a dispute as to the category in which an entry(s) will be judged, the decision of the judges will prevail. Judges may recommend that an entry be switched to a different category, and at their discretion IAMCP staff may change an entry’s category.